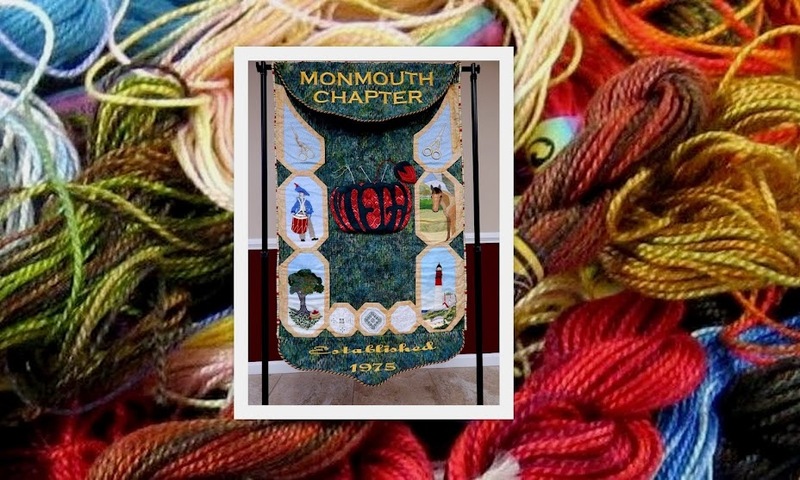 Monmouth Chapter was founded in 1975. Two other EGA chapters eventually merged with Monmouth Chapter and we now offer three meetings each month – day, evening and Sunday. Our day and evening meetings are held in Colts Neck while our Sunday group meets in Maplewood. All Monmouth Chapter members can attend all three meetings each and every month. EGA is a national, not-for-profit organization dedicated to the study and preservation of the art of embroidery. Our mission is to teach all forms of embroidery by offering a variety of classes at different skill levels in different techniques. Different classes are offered at each meeting so there is much to choose from. In addition, we offer workshops during the year. Some of our chapter activities include a potluck lunch at the day meeting in January, an ice cream social in June at the Sunday meeting, and a holiday party at the evening meeting in December. We have also started holding a chapter stash sale every other year. Our annual UFO Challenge motivates all members who participate to finish their UFOs. And we take part in outreach activities which benefit members of the surrounding communities. Anyone who enjoys embroidery or needlepoint, beading, quilting, or any type of stitching done with a needle with an eye, is welcome at our meetings, regardless of skill level or experience, and novices are more than welcome! If you want to see what we are about, please come to a meeting!